European car sales rose 6.5 percent to 15.1 million in 2016 -- a nine-year high -- as demand was propelled by growth across the region's key markets. Despite political instability and economic uncertainty following key events in 2016 that included the Brexit vote and a referendum in Italy, the positive annual result shows that consumer confidence has remained robust, industry association ACEA said in a statement on Tuesday. Preparations for an exit from the European Union haven't significantly hit demand in the UK yet, with annual registrations rising 2.3 percent. In Germany, the region's biggest market, full-year sales were up 4.5 percent, while demand in France increased by 5.1 percent. In the southern European markets of Italy and Spain, registrations rose 16 percent and 11 percent, respectively. The UK's auto market is likely, however, to contract as much as 5 percent this year as carmakers raise prices in the wake of the Brexit vote and the economy slows, according to research company LMC Automotive. Sales across the region will probably grow 1.8 percent in 2017 and 1 percent in 2018, LMC said. "The macro environment remains mostly supportive, with a general recovery combined with low inflation, low interest rates, job creation and wage gains," said Ian Fletcher, an analyst at research company IHS Markit who predicts "far more modest" car-sales growth this year and a flat market in 2018. "Brexit is likely to start becoming a factor over the next couple of years," Fletcher added. 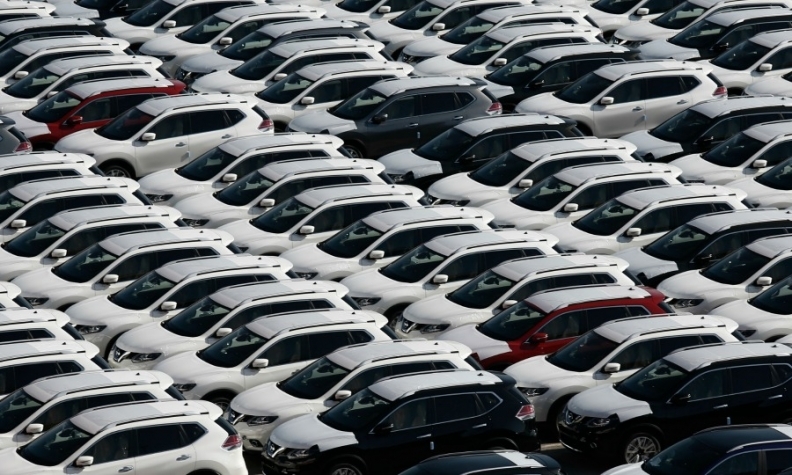 Registrations last month across the European Union and European Free Trade Area (EFTA) countries advanced to 3.2 percent to 1.19 million cars, ACEA said. Renault Group, which includes the Renault and Dacia brands, posted a 14 percent increase in sales last month, to overtake PSA Group as Europe's second-largest automaker after Volkswagen Group. Renault brand increased sales last month by 15 percent bolstered new vehicles such as the Kadjar SUV, Espace minivan and Megane compact. Dacia's sales rose 9 percent in December. PSA's sales dipped 15 percent last month due to declines of 15 percent at Peugeot, 10 percent at Citroen and 41 percent at DS Automobiles, which is struggling with an aging lineup. VW Group sales increased 7.1 percent, propelled by a 64 percent rise at Porsche, a 17 percent surge by Audi and a 14 percent increase in demand for Skoda vehicles. Seat's volume rose 5.7 percent, while the company's main VW marque fell 0.6 percent in December. Registrations at Fiat brand rose 12 percent, while Jeep volume jumped 10 percent last month. "Customers shifted from Volkswagen to other mass manufacturers, such as Renault and Fiat Chrysler," said Commerzbank analyst Sascha Gommel. "The main reason Renault sold more cars has to do with its product cycle. They have a very young portfolio." Also outperforming the market in December were Daimler, whose volume rose by 16 percent with Mercedes sales up 15 percent and Smart growing by 25 percent. In contrast, sales at rival BMW brand dropped 2.8 percent, with Mini sales down 2.9 percent. Ford registrations fell 4.2 percent, while Opel sales rose 2.7 percent. Jaguar Land Rover was up 4.8 percent, buoyed by a 56 percent boost in Jaguar registrations that offset a 11 percent fall at Land Rover. Volvo sales fell 13 percent. Among Asian brands, Toyota sales grew 8.9 percent, Nissan by 2.3 percent and Kia by 11 percent. Hyundai sales fell 4.9 percent.